Blinds vs. Shades: Which One Is Right for Your Home? 19 Sep Blinds vs. Shades: Which One Is Right for Your Home? Are you deciding what to use to cool and shade your home? You might not know the differences between blinds vs shades. Learn here! Very often, people use the terms “blinds” and “shades” interchangeably. However, the fact of the matter is that they are different things with different capabilities. Are you thinking about installing new blinds or shades in your home? Trying to decide which option would be best for you? If so, you’re reading the right article. We are going to compare blinds vs shades, discussing their pros and cons so that you can make an educated choice. Let’s go! Blinds are window covers which contain hard panels. These panels can be made out of a number of materials, but are most often made out of wood or vinyl. Below, we’ll discuss the ways in which blinds excel, and the ways in which blinds fall short. One of the great things about blinds is that they allow for a great deal of light variation. Because their panels can be turned at a variety of angles, they can allow in everything from bright light, to sparse light, to everything in between. You can also adjust them on a vertical level to allow light in at different heights. If you want to expose part of your window, blinds will allow you to do so with great ease. Blinds come in a wide range of colors and styles and are made out of a variety of different materials. You can find everything from cheap vinyl white blinds to high-end wooden, red blinds. Regardless of the decor of your home, there will be a set of blinds to accommodate it. When it comes to cleaning, blinds are terrific. Because they’re made out of hard, solid materials, they can be easily wiped down with a towel or duster. The application of a liquid cleaning agent will have your blinds cleaned in a matter of minutes. Unlike with shades, blinds never take on stains. If you’re looking for window covers that will last over decades and decades of use, blinds are what you’re looking for. Depending upon what they’re made of, and depending upon how well you take care of them, blinds can last for up to 20 years. Trying to prevent unwanted individuals from peering into your home? Blinds will get the job done. When at a fully closed position, blinds are essentially impossible to see through. If you have pets, blinds might not be your best option. This is particularly true if you have cats. Our feline friends–being the curious creatures they are–have a tendency to force their way through panels on blinds, slowly destroying them. While there’s no guarantee that your pets will destroy blinds, there is a decent chance. Trying to add further insulation to your windows? Blinds are not going to do much for you. While they might hold in some heat or cold, the amount of heat or cold that they’ll hold in is minute. Shades differ from blinds primarily in the fact that they don’t contain any panels. Instead, they consist of one, long piece of fabric which rolls up and down over windows. Let’s discuss the advantages and disadvantages of shades below. While not all shades are designed to provide additional insulation to your windows, many of them are. By installing shades, you can see substantial savings in your energy bills. As was noted above, cats and other small animals love to force their way in between the panels on blinds, gradually pulling them apart, and slowly destroying them. For this reason, blinds are often not a great option for pet owners. Because shades are made out of one, solid piece of material, they are generally not at all affected by animals. 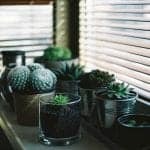 This makes shades a great option for pet and homeowners. 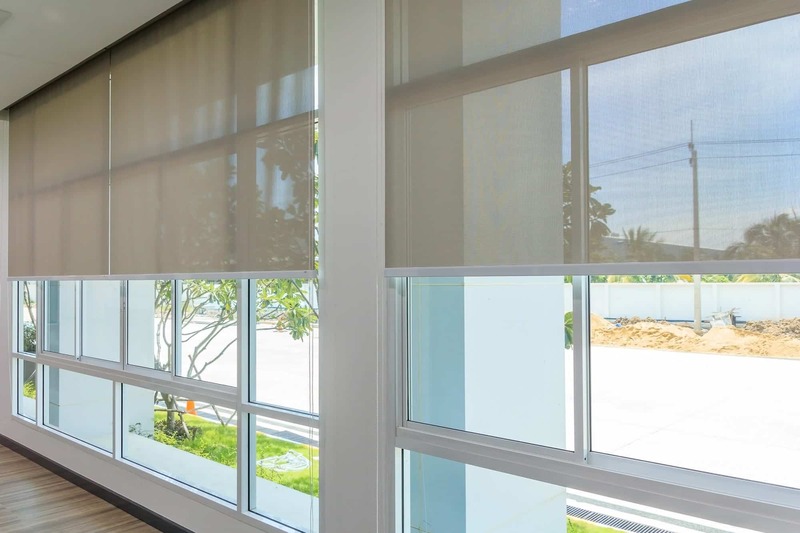 Like blinds, shades offer a tremendous amount of privacy. However, the specific shades that you buy will have a large effect on this matter. For instance, thin, white shades won’t provide quite as much privacy as thick, black shades. Aesthetically speaking, shades are right on par with blinds. They’re available in a number of different colors and are made out of a number of different materials. There is almost certainly a set of shades available to match the decor within your home. Where shades fall behind blinds is in their light variation capabilities. 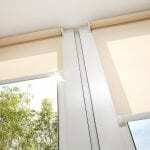 Whereas blinds are capable of accommodating everything from sparse light to medium light to bright light, shades are only capable of accommodating bright light or no light. Because they contain no panels, shades do not allow for any nuance in light. They’re an all-or-nothing solution in terms of lighting. The fact of the matter is that solid materials are easier to clean than cloth materials. For this reason, shades are much more difficult to clean than are blinds. If you spill something on your shades, there is a decent chance that it will remain there for the rest of your shades’ life. It’s often very difficult to remove stains. Just as hard materials are easier to clean than are cloth materials, they’re also more durable than are cloth materials. In general, you can expect blinds to last much longer than shades. Of course, the amount of wear and tear inflicted on your shades will have a huge influence on their lifespan. If you take fairly good care of them, your shades should see at least 10 years of use. Blinds vs Shades: Which Is Your Winner? Have you chosen a winner in the battle of blinds vs shades? Interested in purchasing blinds right now? If so, you’re in the right place. ShutterUp offers a varied selection of blinds. Coming in a wide range of colors and styles, there is sure to be a set that fits with the decor of your home.